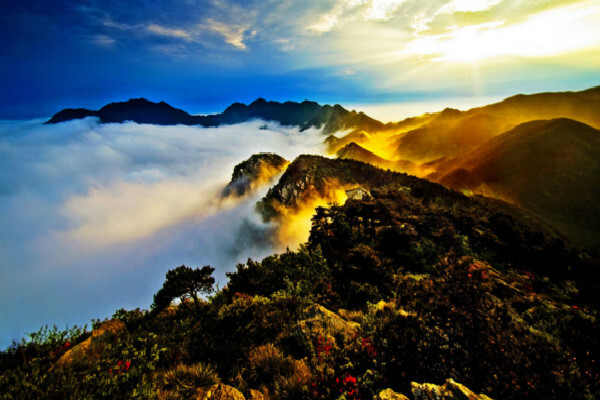 Situated in the southern part of Jiujiang City, Jiangxi Province, Lushan Mountain is on the bank of Poyang Lake. 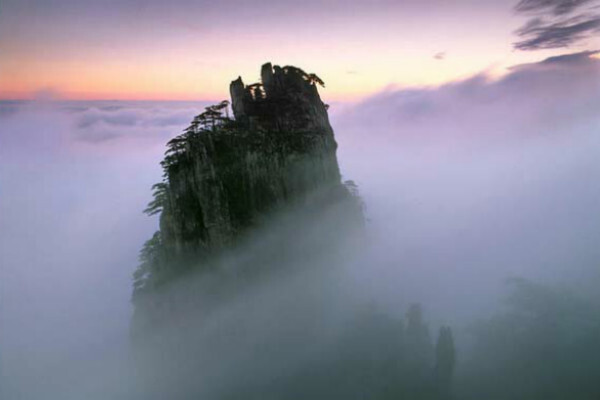 It is one of China's famous mountains and covers an area of 300 square kilometers. It was included in the UNESCO World Heritage list in 1996. Dahanyang Peak, the highest peak of the mountain, rises 1,474 meters above sea level. 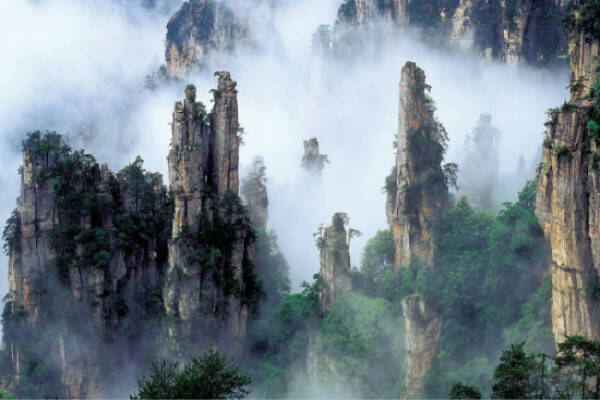 The main scenic spots on the mountain include: the Peak of the Five Old Men, Three-Step Spring, Hanpo Pass, Lulin Lake, Great Tianchi Lake, Flowerpath, Ruqin Lake, Jingxiu Valley, Immortal's Cavern, Lesser Tianchi Lake, Donglin Temple, White Deer Cave Academy, Lushan Botanical Gardens and Lushan Museum. Guling Town, the center of the scenic area, is a unique city on the mountain. At an altitude of 1,167 meters, it is surrounded on three sides by mountains. To its north is Scissors Pass. A mountain highway leads to the various scenic spots from the city. The 1,211-meter-high Hanpo pass lies between the Peak of the Five Old Men and Jiuqi Peak. Poyang Lake is in the south of Hanpo Peak and its extensive surface is dotted with thousands of boats. Hanpo Pavilion is an ideal place to view the sunrise. To the east of Three-Step Spring is the Peak of the Five Old Men where a waterfall cascades from rock to rock in a total drop of 300 meters. West of Guling is the Flowerpath where the noted poet of the Tang Dynasty, Bai Juyi, wrote poems expressing his admiration of the peach blossoms. Donglin Temple on the northwest slope of the mountain is the birthplace of the Pure Land Sect of Buddhism. White Deer Cave Academy is in a valley at the foot of the Peak of the Five Old Men and was one of the earliest institutes of higher learning in ancient China. The Greater and Lesser Tianchi Lakes are beautiful scenic spots on the mountain and contain water all the year round. The Greater Tianchi Lake is an ideal place to view a sunset and enjoy the Yangtze River while the Lesser Tianchi Lake is a good place to enjoy the beauty of the Poyang Lake. Trees surround Lushan Museum on the northern bank of Lulin Lake; it houses ancient Chinese bronzes, pottery from different historical periods, calligraphic works from Tang Dynasty and paintings from Ming and Qing dynasties. The Lushan Botanical Gardens are in a valley to the east of the Mountain. At an altitude of 1,000 to 1,300 meters, they are sub-highland botanical gardens and were founded in 1934. The gardens cover an area of three square kilometers, where it grow more than 3,400 kinds of plants and preserve 100,000 plant samples.